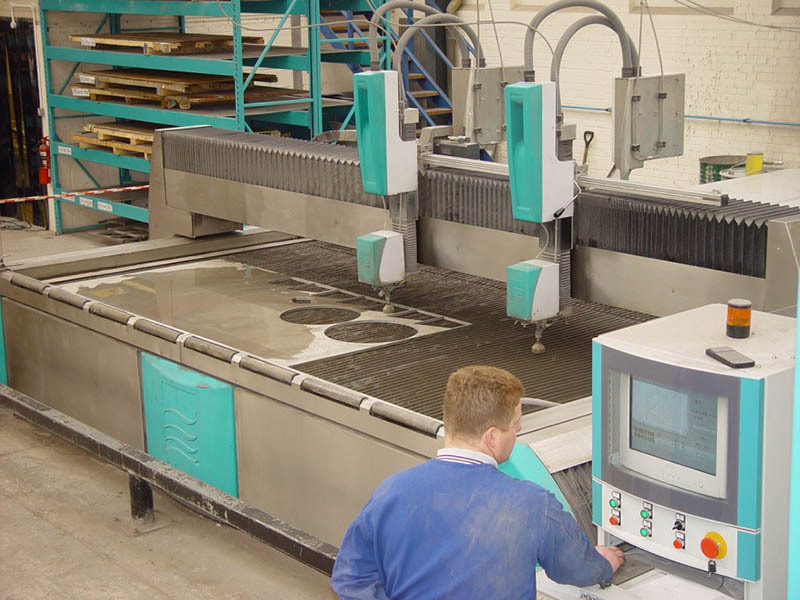 The water jet cutting system in our workshops makes us highly efficient by minimising material losses, we have the ability to cut material up to 200mm thick with little wastage. Apart from our own requirements we also cut materials for other fabrication companies. Finished product appearance and hygienic design is critical to us, the majority of our fabrications are for food processing applications, we therefore tend to use our in house bead blasting equipment to give us a high quality finish where appropriate, otherwise we use polished stainless steel where bead blasting is not acceptable.